Good. This game, perhaps the pinnacle of the modern era for the Redskins, should not be the stage for a publicity uniform. Tradition. Victory. You are obviously not familiar with the lore of this thread. It's only crazy when it doesn't work, right? Looks exactly the same to me. ---------- Post added April-3rd-2012 at 12:12 PM ---------- I don't know if "conservative" and "Washington, DC" should ever be used in the same sentence. Perhaps...traditional would be a better fit. I say no. The Washington franchise is a staple of tradition. Bringing back old uniforms is one thing. In fact, I've liked them all. But to create something entirely new at this point...I think that would be close to blasphemy. It's now RG3's time to refresh the franchise...not the laundry he wears. I don't usually **** the Cowboys more than once a day, but I'll make an exception today. ****. THE. COWBOYS. **** the Cowboys. This thread better be at 2,000 posts by the top of the hour! Just stoppin' by for my daily '****', my daily 'the', and my daily 'Cowboys'. Just stopping by for my daily '**** the Cowboys'. This bad boy best not slip of the first page. **** em. Just dropping by for an opening kickoff **** you to the Cowboys. The irony is that the idea of Colt as a pro NFL QB is the real laughing matter. This is a blurb my friend wrote. This friend and I happen to share the same viewpoint on Colt Brennan's status, as well as the weird following and support he's garnered. I realize Brennan is a hot topic of conversation- but as my friend isn't a member of this board, I felt his views weren't skewed by the cluster**** that is ExtremeSkins, and might even bring a laugh to the faces of those who DO support the Hawaii alum. Again, his words- though I won't deny I agree fullheartedly. 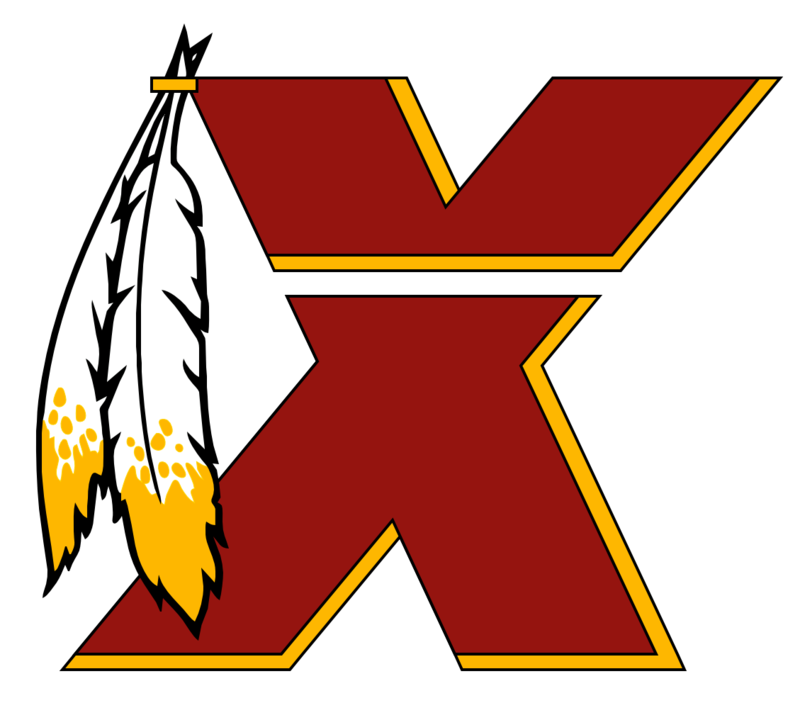 ___ Every time I hear something about COLT BRENNAN being the starting quarterback for my Washington Redskins I have to fight the urge to burn FedEx Field straight down to the ground. Idiot fans find a variety of ways to make him sound like an NFL talent. One more ignorant than the next. Here are my two favorites: 1)	Colt Brennan was a “great” college Quarterback. Yeah. Colt set some really great records at Hawaii, lots of TDs, tons of completions and nearly enough yards to get to the moon and back (twice). Do you know who held most of the records he broke? The great Timmy Chang. Who is Timmy Chang? Timmy Chang was Brennan’s predecessor at Hawaii. After graduating from Hawaii in 2005, Chang went on never to throw an NFL regular season pass and was released from the Winnipeg Blue Bombers after last season. In the CFL, Chang threw 89 passes. Seven of them were interceptions. In short, he sucked. He sucked bad. The three college quarterbacks who threw for more college yards than Brennan were Chang, Graham Harrell (undrafted last year), and Ty Detmer (career backup). 2)	Colt Brennan played extremely well in the preseason last year. THE PRESEASON?? Colt Brennan did not face any legitimate NFL competition last pre season, especially not in the second half of games when the Coltster was getting the bulk of his time. Brennan's best play of last year’s preseason was a game winning-pass to Tight End Jason Goode to beat Indy in the Hall of Fame Game. Jason Goode only caught 39 passes in his football career. AT THE UNIVERSITY OF MARYLAND! IN THREE YEARS! Jason Goode is currently out of football at age 24. Anyone with any real football knowledge should know that if Colt Brennan plays a down for the Redskins at any point next season, all is lost and management has both completely lost hope for the season and bowed to the pressure of idiot fans. If we do see the Colt-Train leave the station this year, I’ll root for him. I’m a Redskins fan. That is my duty as a fan. I don’t hope he gets hurt or even that he plays badly. I’d love to be wrong, I’d love him to be ****ing Sammy Baugh. He’s not. He won’t ever be. He’ll be flipping burgers in three years. I would hope that Chase Daniel beats him out to win a spot on the team, but then all of you morons would think that he is the “quarterback of the future”. Seriously? ****in’ morons. Colt Brennan getting destroyed by the best team he has ever played against, the Georgia Bulldogs in the 2007 Sugar Bowl. Georgia won the game 41-10.